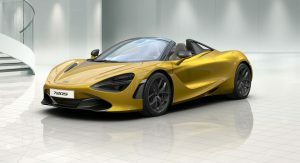 If you’re still looking for a last minute Christmas gift, you’re in luck as McLaren has launched its new configurator for the 720S Spider. 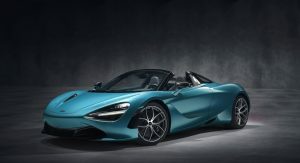 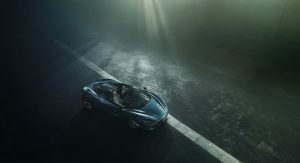 Unveiled earlier this month, the roadster follows in the footsteps of the 720S Coupe but adopts a retractable hard top which can be raised or lowered in 11 seconds at speeds up to 31 mph (50 km/h). 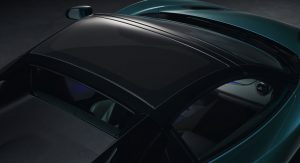 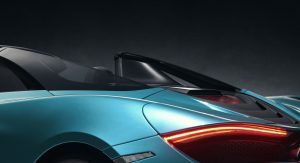 While retractable hard top aren’t exactly lightweight, McLaren’s top consists of a single carbon fiber roof panel. 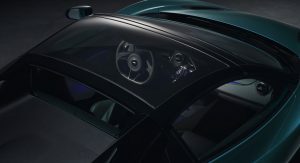 Of course, owners less concerned about weight can order an optional electrochromic glass panel for roof and it transitions from transparent to opaque at the touch of a button. 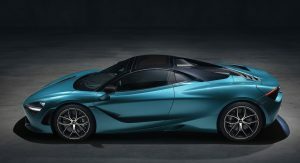 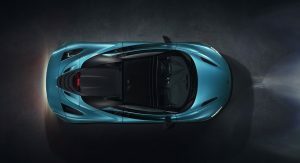 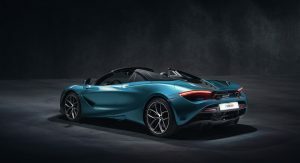 That top isn’t the only change as the 720S Spider features aerodynamic buttresses and an active rear spoiler which automatically adjusts depending on whether the roof is opened or closed. 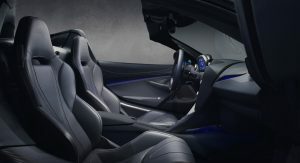 Other unique features include carbon fiber structural supports for added rollover protection and unique 19- and 20-inch wheels which can be equipped with Pirelli P Zero or P Zero Corsa tires. 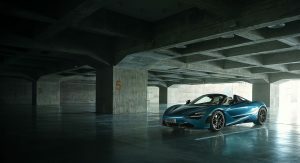 Power comes from a familiar twin-turbo 4.0-liter V8 engine that produces 710 hp (529 kW / 720 PS) and 568 lb-ft (769 Nm) of torque. 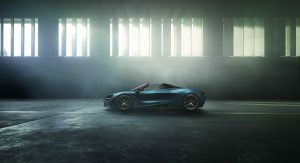 It is connected to a seven-speed sequential shift transmission which enables the roadster to rocket from 0-60 mph (0-96 km/h) in just 2.8 seconds. 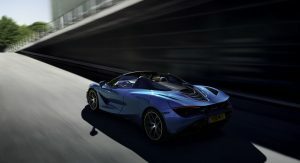 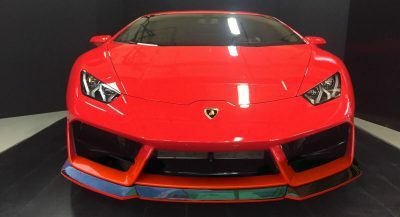 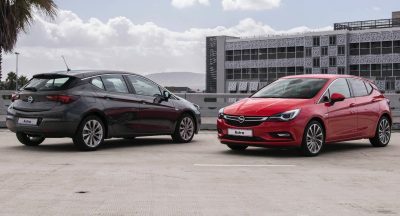 While the model is capable of hitting speeds up to 212 mph (341 km/h), lowering the roof limits the car to 202 mph (325 km/h). The 720S Spider is available in base, luxury and performance trims and customers have the option of selecting from a total of 37 different colors. 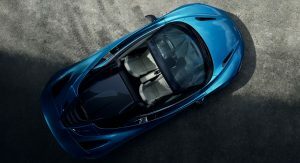 McLaren also offers an assortment of styling options including countless interior and exterior components which can be ordered in carbon fiber. 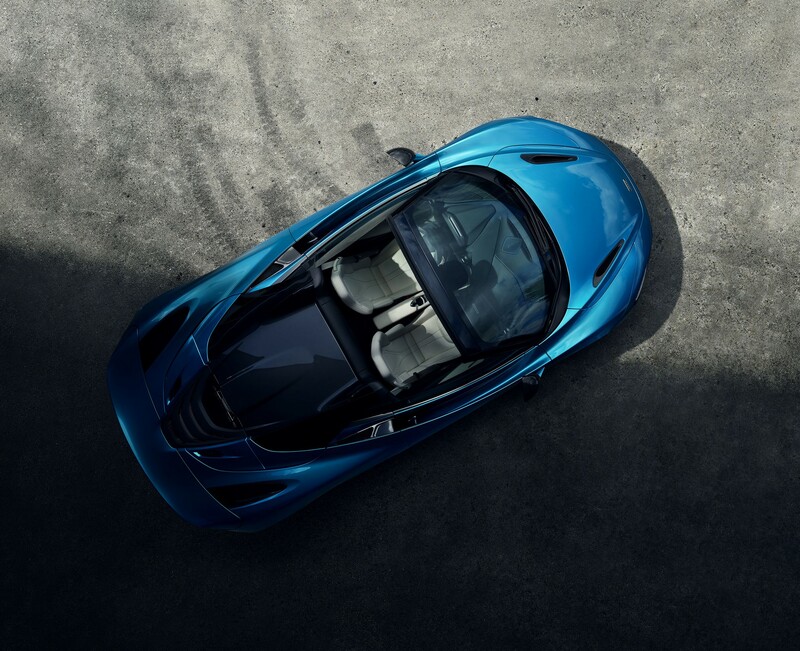 Fans can check out the configurator here and then contact their location McLaren dealer to place an order. 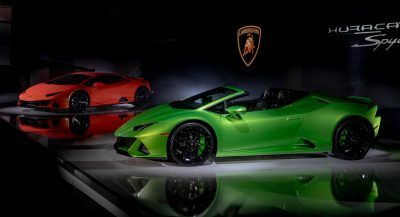 Pricing starts at $315,000 in the United States and the first deliveries are slated to begin in March. 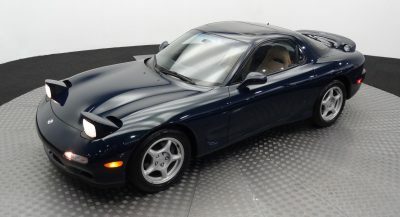 My friend has his on order and said it would be delivered by summer. 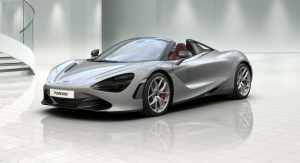 Must be nice.